Hopefully a bunch of you already know about the next metal night I’m doing with the awesome brewers over at Port City Brewery (Facebook event page here). It’s this Saturday, December 14th and we’ll be playing metal tunes all night as usual but this time we’re changing things up a bit and moving it to the Pinch in the Columbia Heights neighborhood of Washington DC (address and map here). There’s a few reasons for this change of venue, the main one is that we can now run much later than the 9pm curfew we had at the actual brewery in Alexandria (that was due to parking restrictions). Another reason is by moving it into the city it’s now Metro accessible, that means you can get there and leave from the Columbia Heights Metro Station which is just 1/2 mile south of the Pinch on the same street. There’s also plenty of street parking around the venue and don’t worry, Columbia Heights is a really nice neighborhood so you don’t have to worry about your car. The venue is a full service bar and restaurant so you can get food there and let me tell you it’s great food! I highly recommend the waffle fries with duck and BBQ sauce. In addition to all of this the venue also has a small stage downstairs and the guys in Borracho are going to play a special set for us this evening. This isn’t really a concert though, there’s no other bands playing, but we thought it would be cool since Port City has brewed a small batch of the Borracho Smokin’ Brown Ale just for this event! There will be many of your favorite Port City beers available all night too. In addition to all of that I’ll be there giving away prizes throughout the night, including concert tickets to the following upcoming metal shows: Amon Amarth/Enslaved, Children Of Bodom/Death Angel, Carcass/The Black Dahlia Murder, Darkest Hour/Pig Destroyer, Morbid Saint, Iced Earth, Between The Buried And Me/Deafheaven, Metal Church, Chimaira, Mobile Deathcamp and more! The doors open at 6pm and the event runs all night but the ticket give aways will be at intervals between 8pm and midnight, and Borracho will play during that time as well. And as usual we’ll be playing a metal set list all night (well, except when Borracho is playing) and Will wants your song requests! 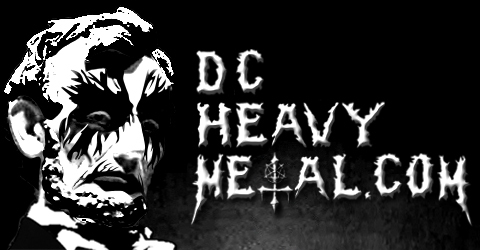 Send him your favorite metal songs of 2013, favorite local bands, or just your favorite metal songs in general by emailing him at will@portcitybrewing.com or send them to him via Twitter at @PCBCBrewMetal. Don’t wait til the day of cause he’ll be busy setting things up and he might not have time to get to it before everything starts. So to summarize, send in your metal song requests and show up at the Pinch this Saturday any time from 6pm til last call (which is 2:30am in DC on Fridays and Saturdays). 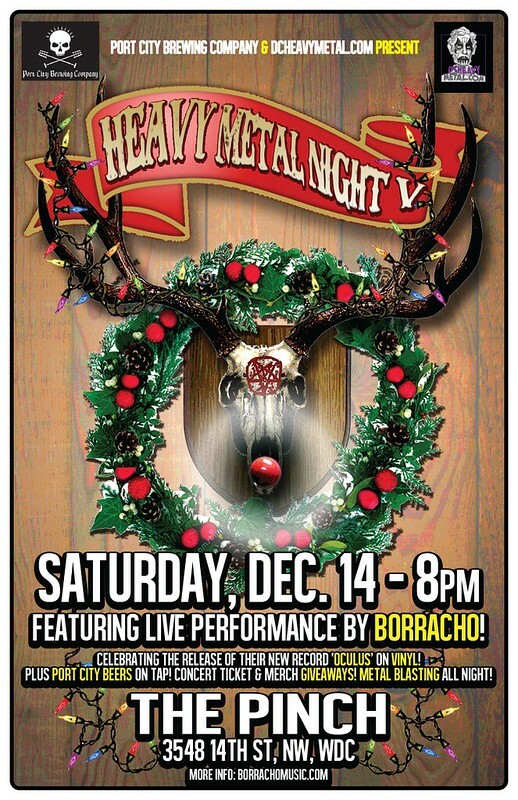 Enter to win some tickets and enjoy some great beers with other metal heads breaking only for a free show by Borracho. What’s not to love? Now to get you in the mood, check out this killer Borracho video.